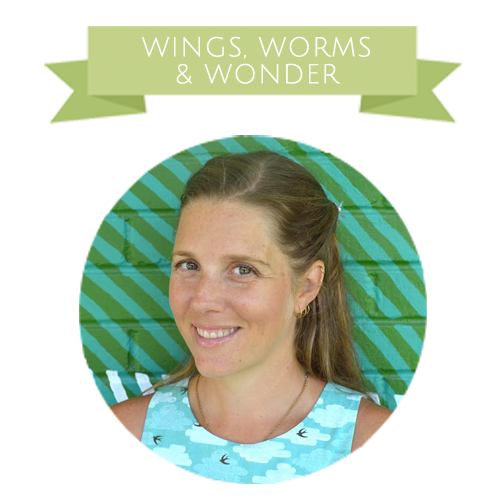 This Gift Guide will help you discover which Wings, Worms, and Wonder nature inspired gifts suit the people on your list – for whatever winter holidays you like to celebrate! All you have to do is click each item’s clickable link. It’s shopping made easy so you can get back outside! Be sure to check out all the categories because many of the ideas can be swapped around for sure. Especially items like the Pouches, Books, and Sketchbook Journals. Let’s put this shopping guide to work! 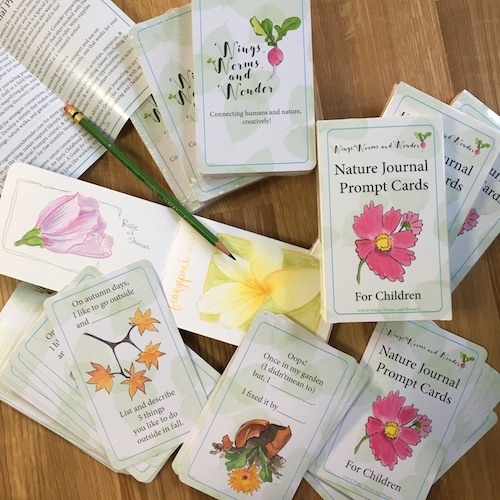 * Nature Journal Prompt Cards for Children – They’re here!! Hooray! And with a custom box and idea guide, they make an awesome gift! Combine a card deck with a large Carry All Zipper Pouch and a Blank Sketchbook/Journal, then pop in a set of color pencils and a magnifying lens and you will win for best gift for sure! * Nature Journal Prompt Cards for Children – Perfect for teachers of children 0-12! Give these beautiful high quality cards solo, or combine the card decks with a book because they are designed to compliment each other! * An online Nature Art Class – This is what you give the person who has everything! It’s also a great gift for homeschooling families. Experiences make awesome gifts that give for a lifetime. Purchase a class for your recipient, and if you let me know, I’ll even make you a digital gift certificate you can email them! * Stationary – Ever useful, and sending a handwritten card to say thank you or simply Hello is even more meaningful in this fast paced digital age. Create sets of matching or mix and match and get all your friends excited about snail mail swaps in 2019! * Journals – These sets of 2 blank interior, handmade and custom printed radish journals make a perfect host/hostess gift. They tick the boxes of both form and function, and they fit in a purse or tote so make great idea journals or to-do list notebooks. * Original Paintings – Did you know I offer small original watercolor paintings and cards for $10 and under? Yep! I believe that art should be affordable to everyone, so I make these cheerful (approximately 6×8 inch) loose botanical paintings! 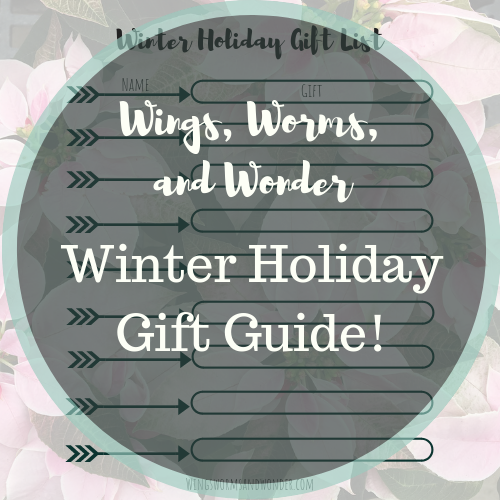 I hope this gift guide helps you get some ideas going on how supporting Wings, Worms, and Wonder will also make you a hit at all your gift giving forays! I really appreciate every purchase. Know your purchase brightens my day and goes a long way in supporting a tiny company trying to keep humans and nature connected, creatively! The NEW Nature Journal Prompt Cards for Children, edition 2 are real and available to the world!! Check them out and Get yours here! Click here to check out and favorite my Etsy shop! This is a great chance to treat yourself to fun nature activities to fill winter indoor activity days. Check out the bundle the Draw & Draw Deeper Bundle.